Maintaining Flawless Skin by Taking Care of Overall Health.Everyone desires a flawless skin and beautiful body, but they hardly know the effective way to accomplish the task. It should be understood that beauty is ephemeral illusion for those who do not maintain it. 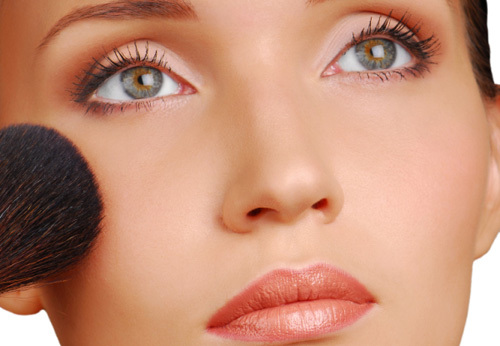 If you want to look good and attractive, then your skin will need proper care and treatments. Each skin type is sensitive in its own way, and they need special care. You will need to choose a healthy method to keep your skin from showing aging signs. Exercise is quite important for you to stay healthy and look young, irrespective of your age. You don’t have time to visit a gym, even a simple physical activity like walking, mediation, swimming, and jogging can help you have a healthy heart and skin. Walking is considered to better than other, because it is less prone to cause injuries in the long run. It helps you improve your blood circulation. Blood carries lots of vital elements extracted from the foods that you eat. Proper flow will enhance the beauty of your skin. If you don’t know which exercise you can perform besides walking, you can always talk to a fitness trainer about it. Regular exercise will be effective if you eat well. Through exercise you burn down unwanted fats and calories. Without the healthy diet, you will not get any effective results. Fruits and green vegetables are your real friends, if you are looking to have a healthy skin. Eat lots of green vegetables daily. Don’t forget foods that contain fiber, and they even help in cleansing the system. Detoxification of your body is very vital if you want to stay healthy. Eating fiber foods will make sure that your body is free from toxin. Vitamins and minerals are very essential for healthy skin and body. If you are looking to have a shiny skin then you can consume vitamin C as much as you can. You can consume anti-inflammatory fish oil regularly to keep your skin free from eczema, acne and psoriasis. There are other health supplements that can be taken to ward off inflammation. Besides exercise and healthy eating, you can use natural skin care products to maintain the flawless of your skin. There are many products, but make sure that you pick those which suit your skin. Before buying any product from the market you can consult your dermatologist to find your skin type and issues. You can also discuss about the products that you should use. Products which boost the production of collagen can be considered for daily use. Collagen keeps the aging signs away and maintains the skin tone. It also helps in keeping the elasticity and smoothness of the skin. There are certain products such as Coenzyme Q10, Cynergy TK, and some natural acids help skin to keep its flawless. You can consider any product that contains any of these substances. Lifecell reviews on the net are quite encouraging. Many people have been able to see miraculous effects after using the product. It is important for you keep your skin clean. Dirt, pollutants, and harmful sun rays can damage your skin. Even if you stay inside your house most of the time, your skin can get damaged from dirt and other foreign particles. Washing your skin is a good habit. However choose a product that will be suitable for your skin, or else it will damage the texture of your skin. The gist of the story is if you are looking for glowing and shiny skin, then healthy living, proper dieting and using of right skin care product is a must. You can consult with a dermatologist to learn more about ways to stay fit and healthy. Exercise is definitely important in maintaining a good skin care regimen. hmmm realy Exercises is good for health. Quite informative post. Maintaining a flawless skin is really challenging, but it can be achieved by living a healthy life and taking a proper care of overall health. Good internet site creating a a sound body related records. retain revealing of such useful posts. i am additionally accept Theresa Wagar points in which H2o is is additionally keeps us all search more radiant to help longer…. h2o melon and also cucumber usually are best food pertaining to retain hydrate yourself…. cheers a lot all of you. Nice site having a good health related entries. keep sharing of these useful articles. i am also agree with Theresa Wagar points that Drinking water is is also helps to keep us look younger to longer…. water melon and cucumber are best food for keep hydrate urself…. thanks a lot all of you!!!!! You’ll want to add staying hydrated to your list of ways to keep our skin young by overall health. Drinking enough water each day enables your cells to function more efficiently, too. I agree that by taking care of our overall health we can take care of skin health and a lot more. Excellent post. Thank you. Maintain flawless skin is not so easy. We have to be clean for maintaining flawless skin. This is the most important thing. It was really awesome post. Skin is our biggest organ, and we often pay the least attention to it! Thanks for reminding folks to look for natural skin care products!